Are you looking for best books on git? 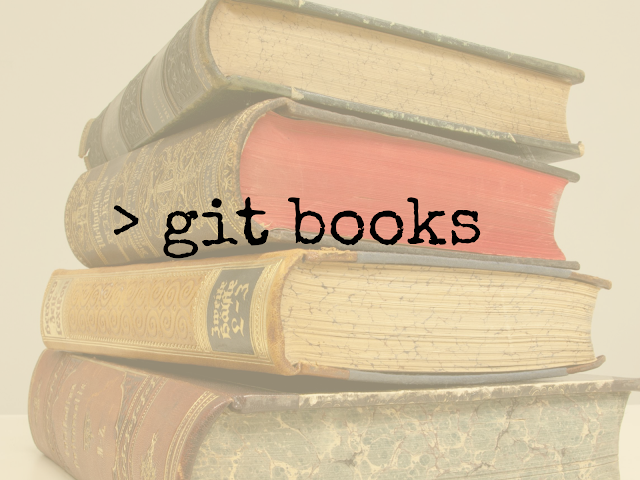 We have created a list of highly recommended git books. Learning git version control system is important to be productive. It is even more crucial if you have a diversified team that is located world wide. Many basic feature of git can be easily learned, however mastering the git version control system requires time and effort. Referring a book for git will surely be a good choice for someone using it everyday. Git is most popular version control system for open source projects. Thousands of projects in various programming languages are created and shared on github. Git can be broadly described as an open and free tool for distributed version control system which has been specially designed to handle from small to very big projects with efficiency and speed. It is very easy to learn and also offers fast and lightning performance. The main feature which makes Git stand apart from other SCM tools is the branching model. There are many things you can do with Git such as Role based code lines, Feature based Workflow, Frictionless Context switching and disposable experimentation. The following is a list of the best books on Git available right now. This is the best git book which teaches you Git fundamentals as well as advanced techniques through a series of step by step tutorials. This practical guide helps you tremendously by offering rigorous yet friendly advice for navigation through various functions of the open source version control system. This revised edition of the book also offers various tips for the manipulation of various functions and guides you on how to use Git for numerous real world development scenarios. Written by Ben Straub and Scott Chacon, Pro Git can be described as the fully updated guide for Git and its usage in the modern world. This is probably one of the best git books available. It is a known fact that a well implemented and effective version control is required for a successful project, regardless of its size. This book teaches the user to master the distributed version workflow world and use distributed features of Git and extend it to meet his or her needs. It is updated and includes Git version 2.0 and furthermore, has a new chapter for Github as well. This writer has targeted this book primarily for architects, analysts, administrators and developers who want to perform in a collaborative work environment using similar sets of the files. If you want to maintain various versions of folders and files or want to be able to go back and forth with respect to the contents of the files, this is one of the Git version control books you should read and take references. This Git pocket guide is a perfect companion and one of the best books on Git, distributed version control system. It can be used by new users as well as people who have experience with Git. This pocket guide has been written for Git version 1.8.2. The guide has been organized to guide the user about various basic version control functions. It helps the user to learn common procedures as well as the commands of Git. In addition to that, the user can also work on a project simultaneously with other people by using this pocket guide. This is one of the best Git books for people who are beginners at version control, project managers, designers and programmers. It is a step by step course to initiate new users about Git. Today, version control is essential for making collaborations easy and improving general efficiency. This Git best book is an essential read for users who intend to master version control with Git quickly. If you are an experienced programmer but new to Git, this book on Git is ideal for you. This is one of the best reference books for Git, offering you 2 page spreads which contain entire contexts to the tasks. It also offers cross references to the other related tasks. The author has explained the basic concepts of Git in this book. The main focus is on agile development and workflows. The book describes commands and various options which help in solving real world issues. Some issues which are discussed in this book are the repository, version tagging, rebasing, troubleshooting with bisection and splitting a big project. The above-mentioned is the list of books on Git which you should purchase and read to get the best guidance on Git. As Git is generally regarded as the best adopted version control system for software development, Git knowledge is quintessential for aspiring developers. These books will help you learn about distributed revision control systems, data integrity and non-linear workflows in a step by step manner.